From classic holiday films to live theater, to music of many genres and family programs, there is plenty to see and enjoy at the Katharine Hepburn Cultural Arts Center (the Kate) this December! Celebrate the season with several Christmas-themed events, including traditional Irish holiday music with Lunasa and vocalist Ashley Davis on the 13th. >Cappella Cantorum’s annual Messiah Sing or Listen on the 16th. >an encore viewing of the Bolshoi Ballet’s stunning production of The Nutcracker takes place on the 22nd. >singer-songwriter Dar Williams on the 30th. The Katharine Hepburn Cultural Arts Center is a non-profit performing arts organization located in an historic theatre/town hall on Main Street in Old Saybrook. Originally opened in 1911 and listed on the National Register of Historic Places, the Center has been renovated with public funds from the Town of Old Saybrook and donations raised by the Trustees of the Center. It includes a 250-seat theatre and a small museum honoring Katharine Hepburn, Old Saybrook’s most celebrated resident. As befits an organization born of such a public/private partnership, programming is eclectic, offering something for all ages and income levels on the Connecticut shore and in the lower river valley. Work by college faculty of Lyme Academy College of Fine Arts of the University of New Haven is on view in the Chauncey Stillman Gallery in an exhibition titled, ‘Making Artists, Making Art,’ which was curated by Charlotte Gray, Ph.D., Practitioner in Residence, and Janis Mink, Ph.D., Adjunct Professor. This exhibition is on view Monday through Saturday from 10 a.m. to 4 p.m. until Jan. 26, 2019. ‘Chandelier’ by Karen Israel is one of the signature paintings of the exhibition. The Lyme Art Association’s festive art exhibition, the annual Deck the Walls holiday show, is on view through Jan. 4, 2019. More than 200 original works of art by member artists will be on display and priced to sell as holiday gifts. 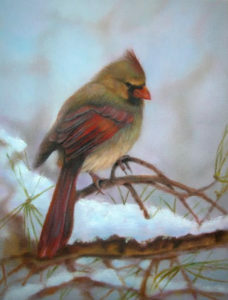 ‘Snowy Perch’ (oil) by Melanie Watrous is the signature work in this year’s ‘Deck The Walls’ exhibition. The opening reception on Friday, Nov. 30, from 5-7 pm, is free to the public and will feature live music. All painting purchases from 5 p.m. on Nov. 30 through 5 p.m. Dec. 1, will be tax-free. 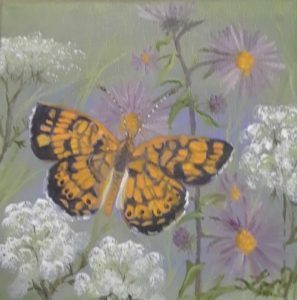 “For Deck the Walls, the Lyme Art Association features a wide variety of appealing subjects at affordable prices that are great for holiday shopping. We hope to help solve those gift giving dilemmas – a beautiful piece of artwork is always appreciated!” says Jocelyn Zallinger, Gallery Manager. 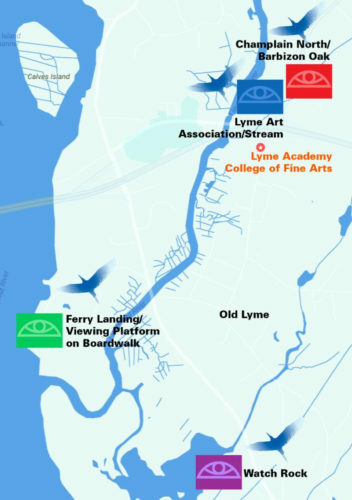 The Lyme Art Association is open Wednesday through Sunday, from 10 am – 5 pm, and by appointment. The Association is located at 90 Lyme Street in Old Lyme, at the corner of Halls Road. Call (860) 434-7802 for more information, or visit www.lymeartassociation.org. The holiday season is always something to celebrate at the Museum when”The Magic of Christmas” happens! During the period, the Florence Griswold House will be decorated in the holiday finery of yesteryear with a new addition to the Magic—Marvelous Mantels. In the historic areas, the mantels over each fireplace are abundantly festooned with lush greens and festive ornaments that reflect the painting that hangs above. In the Krieble Gallery, visitors can delight in the painted palettes on Miss Florence’s Artist Trees. 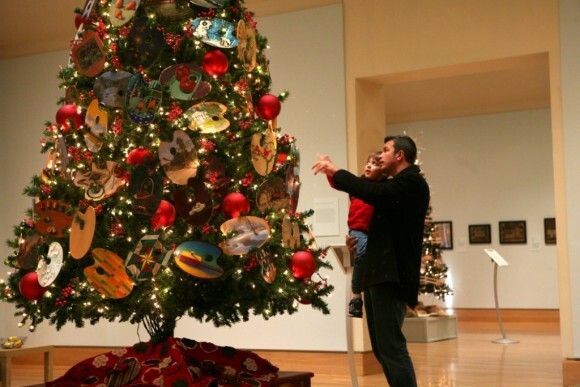 Nearly 200 noted artists from across the country have donated works to this one-of-a-kind holiday icon. The palette artists’ styles and subject matter are as varied as the individuals. 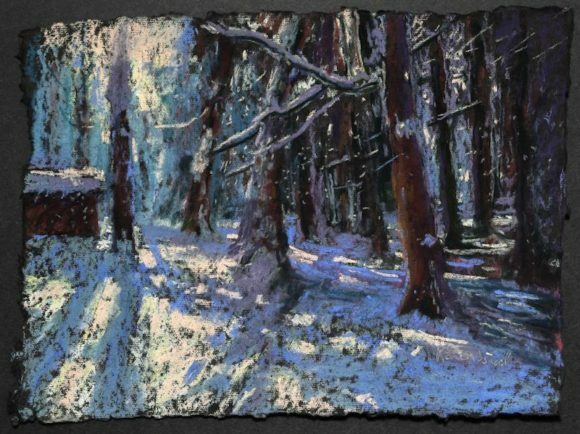 Oils, acrylics, watercolors, ceramics, glass, and collage are used to transform the palettes into traditional holiday scenes, delightful landscapes, and more than a few surprises. And don’t forget Christmastime Teas are offered in Café Flo and there’s always a wonderful selection of gifts in The Shop. Editor’s Note: We hear from our friends at The Cooley Gallery that they will be staying open tomorrow (Saturday) until 7 p.m. to welcome all the folk who were unable to attend their Opening Reception Thursday due to the inclement weather. 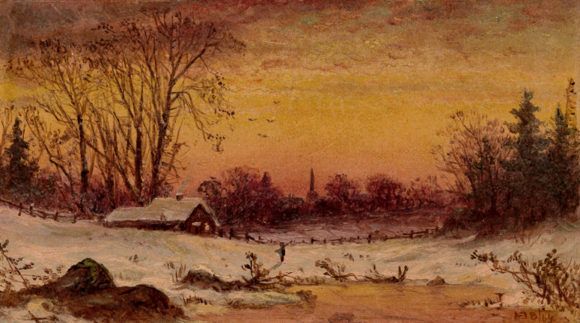 ‘Winter Afternoon’ by Alfred T. Bricher (1837-1908) is featured in The Cooley Gallery Annual Holiday Sale opening Thursday. The Cooley Gallery ‘s annual holiday sale featuring historic and contemporary art in all sizes opens with a celebration of the season on Thursday, Nov. 15, from 5 to 7 p.m., at 25 Lyme Street in Old Lyme. All are welcome. In this holiday sale The Cooley Gallery will exhibit newly discovered paintings by Old Lyme colony artists Louis Cohen (1857-1915), William S. Robinson (1861-1945), Wilson Irvine (1869-1936), and Charles Ebert (1873-1959) and Connecticut artist Charles Foster (1850-1931) as well as exquisite watercolors and drawings by numerous Connecticut artists. “The prices will be commensurate with the spirit of the season,” says Jeff Cooley, owner of the gallery. Also featured are colored woodcuts – as seen on the invitation, by Gertrude Nason (1890-1969), an accomplished painter and printmaker who lived in Greenwich Village and summered in Lyme. A select group of contemporary artists will be included in the show. 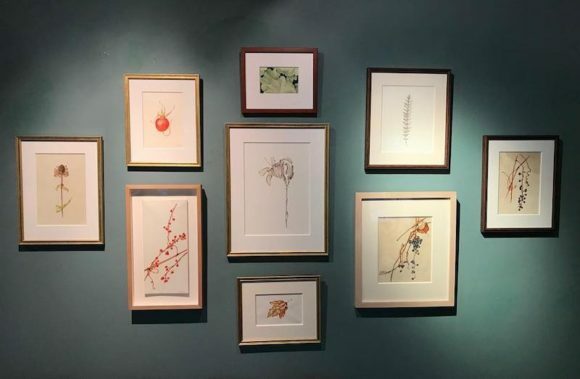 Curly Lieber’s delicate and exquisite botanical drawings are among the highlights of The Cooley Gallery’s Holiday Show opening Thursday. Botanical artist Curly Lieber has works in the exhibition, which also includes paintings of New York City by Michael Budden and Walter Rane, intimate still-lifes by realist Barbara Kacicek, abstract works by Helen Cantrell, and landscapes by Al Barker. Small works by trompe l’oeil painter extraordinaire Michael Theise will be exhibited near the watercolor abstractions by Pat Smith among so many more. 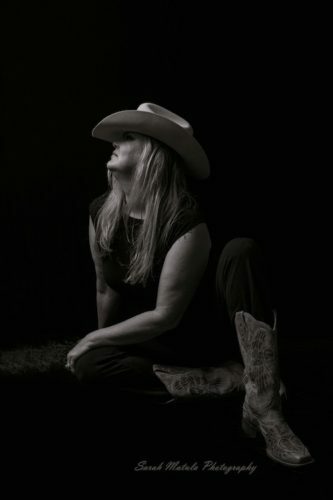 The Cooley Gallery is proud to introduce the works of three new artists for the gallery: Jac Lahav, a figurative painter who will have a solo exhibition at The Florence Griswold Museum in 2019, Jeanine Pennell, a ceramic artist whose sympathetic characters are sure to delight, and Ed Bishop, whose hyper-realist paintings will please the most discerning art lover. Don’t miss the The Cooley Gallery’s opening reception, Thursday, November 15th, from 5-7 p.m.; a great gathering to launch the holiday season. This exhibition runs through Jan. 6, 2019. Located in the beautiful little village of Old Lyme, The Cooley Gallery is an ideal spot to enjoy among the best of American art while celebrating the season with a great New England tradition. Founded in 1981 and located in the heart of historic Old Lyme, the Cooley Gallery specializes in fine American paintings from the 19th, 20th, and 21st centuries, including the Hudson River School, American Impressionism, and select contemporary artists. 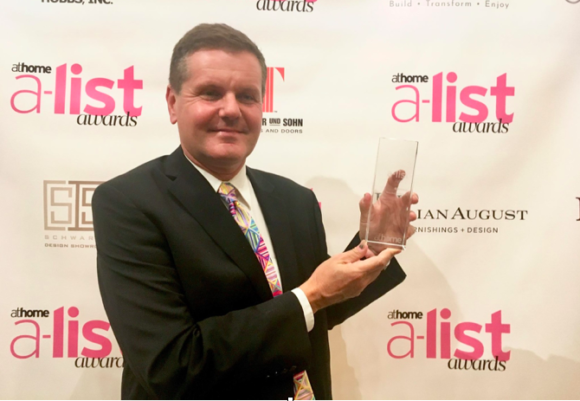 Christopher Arelt of Nautilus Architects, located in Old Lyme, stands with his A-List Award presented by athome Fairfield County magazine. Christopher Arelt of Nautilus Architects, located in Old Lyme, has been awarded a prestigious A-List Award presented by athome Fairfield County magazine. Design submissions were judged by an exclusive panel of judges comprised of key influencers in the design industry of their respective fields. The winning A-List Entryway project by Nautilus Architects is located in Old Lyme, Conn.
An interior shot of the house in Old Lyme, which was renovated to a design by Chris Arelt. The award-winning house in Old Lyme. The original front entrance to this house had no cover and required venturing down into a sunken area surrounding the house and then up again to the door. The door itself was a bland one, someone had taken siding and clad a blank door slab, then painted it to match the rest of the exterior. There were two thin sidelites flanking it. Inside, the foyer was undistinguished and dark. Altogether, a great opportunity for improvement. By extending the roof forward, a new deep cover was created, and the roofline was simplified to advantage. Atop the flat portion of the extension, a large pyramidal skylight was positioned the center of the foyer to allow the space to be flooded with natural light. This also established a clear hierarchy for the interior: the surrounding spaces now clustered around this important central element. 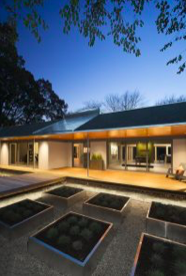 Under the deep overhang outside, a generously-proportioned ipe porch was added, at the same level as the interior, to allow the virtual space to extend beyond the walls. The ipe continues across the sunken ground plane in the form of a bridge – no more down and up upon approach. The dreary front door and sidelites were together about 6 feet wide. The assembly was replaced with a single door, 6 feet wide (! ), that operates on a commercial closer and pivot hinge so that, when open, it feels more like a section of wall has been removed. The door construction is a unique combination of wood, steel, aluminum, and glass, incorporating many of the materials found elsewhere in the renovation. 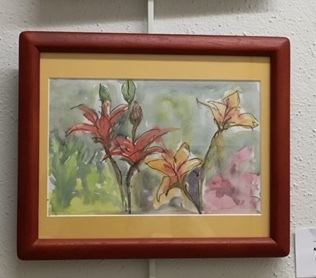 ‘Dream Lilies’ by Jeri Baker is one of the featured works in the Lymes’ Senior Center Art Show at Old Lyme Town Hall. November and December. The participating artists have been taking art classes with Sharon Schmiedel. Paintings, drawings, and mixed media pieces will be on display. Additionally, two members of the Center’s community, Janet Cody and Peg Sheehan, will add a “Touch of Craft” with their work in traditional punch needle pieces and handmade jewelry of silver, gold and semi-precious and precious stones respectively. Another member, Norma DeGrafft, will also display her scenic watercolors in the Lyme Town Hall. A portion of any sale will be donated to the Lymes’ Senior Center. An opening reception for this show will be held on Friday, Nov. 9, from 4 to 6 p.m. in the Old Lyme Town Hall. Light refreshments will be served. This painting by Diana Lord is the signature piece of the 2018 Lyme Artists Sale of Work, which opens this Friday. The Lyme Artists Sale will be held this year at the Lyme Public Hall on Friday, November 2nd and Saturday, November 3rd. There will be an opening reception on Friday, Nov. 2, from 5 to 7:30 p.m. to which all are welcome. The sale is also open Saturday, Nov. 3, from 10 a.m. to 4 p.m.
plus yarn, cards, calendars and more. This annual event is sponsored by the Lyme Public Hall and is open to the public. The Hall is located at 249 Hamburg Rd. (Rte. 156) in Lyme. For more information, contact Angie Falstrom, 860-434-3194. Nationally renowned sculptor Gilbert Boro invites the public to enjoy an autumn evening on his Sculpture Grounds at Studio 80 in Old Lyme to celebrate the success of Summer Sculpture Showcase 2018. The free celebration this evening, Saturday, Oct. 27, from 5 to 7 p.m., will feature live music and refreshments. New works by Boro, Chicago artist Ruth Aizuss Migdal, and a piece created specifically for the Sculpture Grounds by Connecticut metal sculptor Richard Newton will be unveiled during the event. The annual display of world-class landscape sculptures hosted by Gilbert Boro saw hundreds of visitors this summer. The popularity of the Summer Showcase encouraged Boro to use this Oct. 27 party to showcase two visiting artists, along with a new series of his own. Migdal of Chicago will present four abstract figures of the female body; Newton of Killingworth, CT, will present House on Fire; and Boro will show his new Musical Masterworks series. Migdal is an art teacher and sculptor in Chicago who says her work “is all about the female figure.” Her abstract figures celebrate and accentuate all aspects of women’s bodies in both emphatic and whimsical ways. She is a self-taught sculptor whose Jewish heritage has significantly impacted her outlook and influenced her work. Reflecting on being a Jewish woman in her eighth decade and the oppression that women are subjected to in many places around the world, she feels fortunate to be born here. “If I’d been born in Europe, I’d be dead. No questions I’d have been dead.” She is very grateful to live in the United States and her work reflects the artistic freedom that affords her. House on Fire, a brilliant red, orange, and yellow steel creation by Richard Newton, is a large-scale depiction of flames. It is Newton’s way of shouting his visceral reaction to the state of our country. “How much of my time, energy and attention,” he notes, “is being consumed with the tumultuous, ridiculous and distressing state of our current events.” Contemplating how to express his frustration led him to think of fire and “the fragile nature of our situation.” This is a way “I could take my frustrations and burn them up,” he says. He hopes people who look at it will stop for a moment and ponder the situation and find their own moment of relief. For Gilbert Boro, listening to live music performances fired his imagination to consider what forms and shapes the music might create. Some nights, he says, he could imagine with is eyes closed the varied shapes and colors the notes might forge. 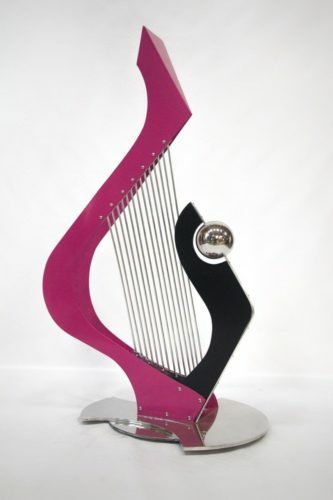 The result is his new Musical Masterworks series of three-dimensional sculptures to be on display for the first time. Boro’s work is exhibited throughout the US and Europe. 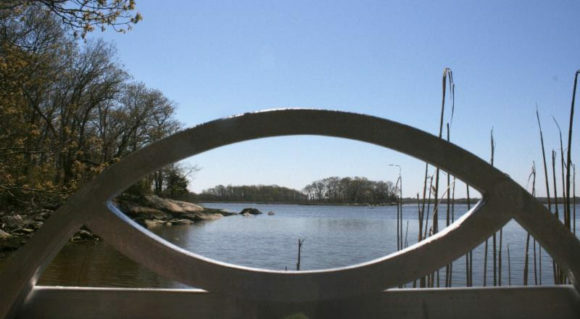 The Sculpture Grounds at 80-1 Lyme Street in Old Lyme, Connecticut, are open 365 days of the year. Bring-your-own picnics are permitted and touching the sculptures is encouraged. Group tours are also welcome. For arrangements and more details, visit www.sculpturegrounds.com and www.gilbertboro.com. Edward Arron hosts and performs in this weekend’s Musical Masterworks concerts. Musical Masterworks opens its 28th season of chamber music with a vibrant and colorful program to suit the season. The first concert weekend in early October will feature Dvorak’s D Major Piano Quartet, as well as his Silent Woods for Cello and Piano. In between the two Dvorak works, there will be a seldom performed piece titled Dumka for violin, viola and piano, which was inspired by Dvorak, and composed by the American composer Rebecca Clarke. The program will culminate in Gabriel Fauré’s magnificent C Minor Piano Quartet. Joining artistic director and cellist Edward Arron onstage will be two veterans of the Musical Masterworks series – pianist Orion Weiss and violinist Carmit Zori. 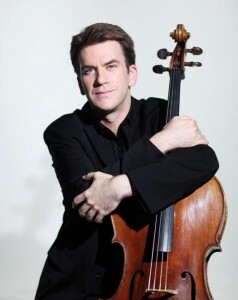 In addition, Musical Masterworks will celebrate the debut of the violist Mark Holloway. The season’s first concerts are Saturday, Oct. 6, at 5 p.m. and Sunday, Oct. 7, at 3 p.m. at the First Congregational Church of Old Lyme, an acoustically rich venue for chamber music. Musical Masterworks’ season runs from Oct. 2018 through May 2019. To purchase a series subscription ($150 each), a mini subscription ($100 each) or individual tickets ($40 adult; $5 student), visit Musical Masterworks at www.musicalmasterworks.org or call 860.434.2252. Join the Cappella Cantorum Masterworks Chorus for its first rehearsal of Puccini’s Messa di Gloria and Saint Saens’ Christmas Oratorio this evening, Monday, Sept. 17, 7 p.m., at John Winthrop Middle School, 1 Winthrop Rd., Deep River. Use the rear entrance. These melodious and inspiring works will be performed in concert Sunday, Dec. 2, at John Winthrop with professional orchestra and soloists. 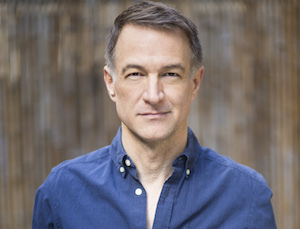 Simon Holt of the Salt Marsh Opera will direct. Registration is $50 plus music: Puccini $9, Saint-Saens $11. Late registration is the following Monday, Sept. 24, same time and place. The Broadway smash hit Once, has opened at the Ivoryton Playhouse. ‘Barefoot Days’ by Cean Young is the signature painting of the Summer Painting and Sculpture Show, which opens tonight at the LAA. 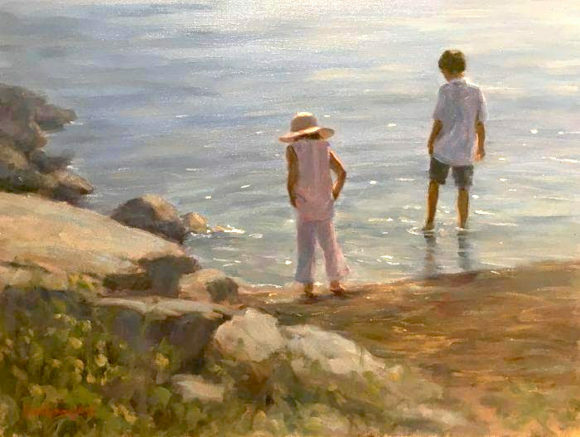 The Lyme Art Association (LAA) hosts an Opening Reception and Ice Cream Social this evening from 5 to 7 p.m. for its ‘Summer Painting and Sculpture Show,’ which presents LAA members’ finest work, in a variety of genres and mediums. All are welcome and admission is free. Juror David Rau of the Florence Griswold Musuem has assembled a wide-ranging show of compelling, peaceful, astonishing, whimsical, and generally delightful work for buyers and viewers. The ice cream is sponsored by A.C. Petersen Petersen Farms of West Hartford and Old Lyme. From left to right, Kayla Starr Bryan, Lili Thomas, Sarah Warrick, Matthew Carp, and Cory Candelet form part of A Chorus Line. 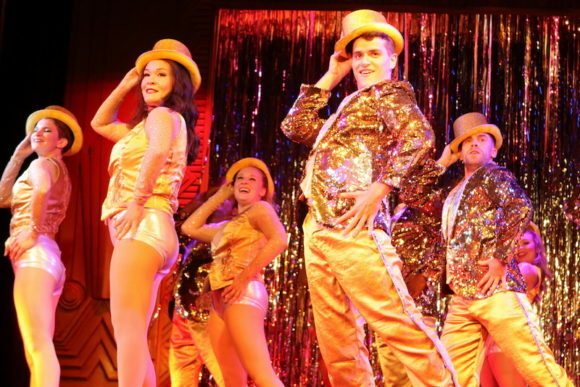 The Tony Award and Pulitzer Prize-winning A Chorus Line has opened at the Ivoryton Playhouse. Casting for a new Broadway musical is almost complete and for 17 dancers, this audition is the chance of a lifetime and what they’ve worked their whole lives for.A Chorus Line brilliantly evokes both the glamour and grind of showbiz, and is the musical for everyone who’s ever had a dream and put it all on the line. The iconic score features such classics as “What I Did for Love,” “One,” “I Hope I Get It,” and more. With its celebration and true-to-life depiction of performers and their struggle to achieve greatness on the Broadway stage,A Chorus Line has earned unanimous praise as one of the true masterpieces of live theater. Penned by legendary composer, Marvin Hamlisch,A Chorus Line opened at the Shubert Theatre on Broadway July 25, 1975, directed and choreographed by Michael Bennett. 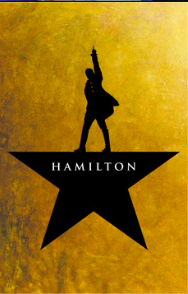 An unprecedented box office and critical hit, the musical received 12 Tony Award nominations and won nine, in addition to the 1976 Pulitzer Prize for Drama. The original Broadway production ran for 6,137 performances, becoming the longest-running production in Broadway history until surpassed by Cats in 1997, and the longest-running Broadway musical originally produced in the U.S., until surpassed in 2011 by Chicago. Based on real Broadway dancers’ stories, A Chorus Line is funny, heartbreaking, and refreshingly honest and even today remains one of the best loved Broadway shows ever. Edward Stanley plays Zack in the new production of ‘A Chorus Line’ at the Ivoryton Playhouse. This production showcases many performers who have made the Playhouse their home over the past few years: Schuyler Beeman*, Ronnie Bowman Jr., Andee Buccheri, Cory Candelet, Stephanie Genito*, Sam Given*, Joey Lucherini, Amanda Lupacchino, Natalie Madlon, Alexa Racioppi, Jared Starkey and Max Weinstein. 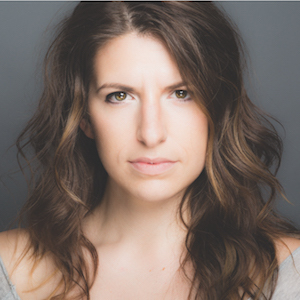 Performers making their Playhouse debut are Kayla Starr Bryan, Matthew Carp, Dakota Hoar, Liv Kurtz, Lina Lee*, Jennifer Roberts, Edward Stanley*, Cassidy Terracciano, Lili Thomas* and Sarah Warrick. 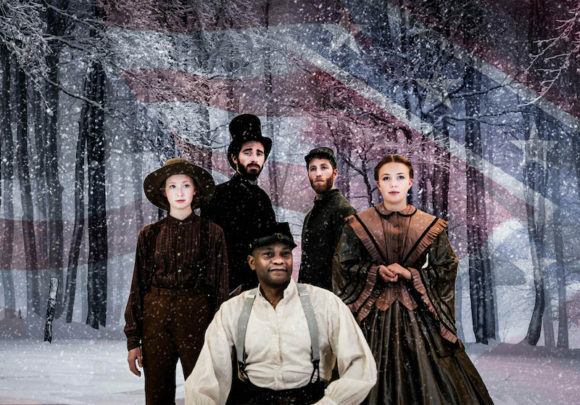 The production is directed and choreographed by Todd L. Underwood and musical directed by Michael Morris, with set design by Martin Scott Marchitto, lighting design by Marcus Abbott and costume design by Kate Bunce. A Chorus Line runs through Sept. 2. Performance times are Wednesday and Sunday matinees at 2 p.m. Evening performances are Wednesday and Thursday at 7:30 p.m, Friday and Saturday at 8 p.m.
Additional matinee performances are on Saturday, Aug. 18, and Saturday, Sept. 1. Photos courtesy of Ivoryton Playhouse. Follow the ‘Vision Box’ Trail This Summer! Through the balance of the summer, the public can follow the trail of Vision Boxes installed at four sites throughout Old Lyme. The boxes are up for three months — at the end of the project, the boxes will be auctioned. Resulting funds will be contributed to programs that bring urban youth to visit wilderness parks or refuges in the local area and give them the opportunity to draw in the field. Working in collaboration with non-profit land trusts, the Open Space Commission, individual stewards and local artists, Ana Flores designed the Vision Box project. Flores is the first Schumann Foundation Visiting Artist at the University of New Haven’s Lyme Academy College of Fine Arts. She is an award-winning “ecological artist” probing the relationships between the human and natural history in different geographies. One of her goals as an artist is to encourage the public’s awareness of their local landscapes, deepening their connections to place because if we don’t care about something we will not help protect it. This spring she has been teaching Environmental Art, introducing students to ecological artists and having them create projects that involve ecology, community engagement, and activism. She has also been exploring the unique environment of Old Lyme in preparation for a public art project. The Old Lyme landscape, with its conjunction of river, marshes, fields, and forests served as the inspiration for the American Impressionist movement in the early 20th century. For over three decades, well known painters traveled here to document the estuary landscape with its particular quality of light. 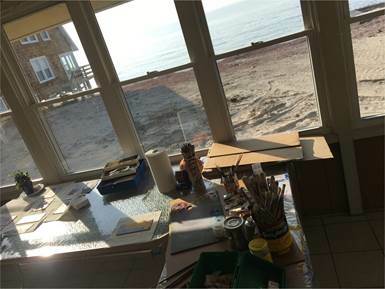 There will be an Opening Reception for the Vision Box project Thursday, July 19, from 5 to 7 p.m. at Lyme Academy College of Fine Arts, 84 Lyme Street, in Old Lyme. All are welcome. Walk to end of boardwalk, box on viewing platform. Entrance at end of Joel Road, take Yellow trail 0.4 mile, box faces West over water. Box faces stream, located near back parking area. Turn on Wyckford Road, go to end. Open space trails are not private. Take Red trail, bear right, 0.4 mile to Barbizon Oak and box. The project is made possible with support and funding from the Robert F. Schumann Foundation and Lyme Academy College of Fine Arts of the University of New Haven. Catherine Christiano, Twilight, Miami Beach, Old Lyme, 2018, Oil on Panel, 4 1/4 x 6 inches. Photo credit: Catherine Christiano. 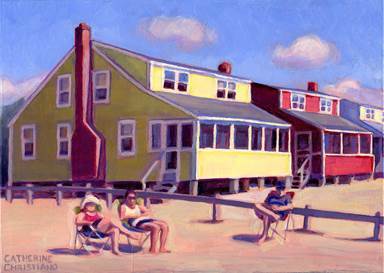 A collection of small paintings by Old Lyme resident Catherine Christiano that feature the cottages of Old Lyme’s beach communities will be exhibited at George Billis Gallery in Chelsea, New York location. The Summer Group Show will run from July 10 through Aug. 4. The opening reception for the public will be held tomorrow evening, Thursday, July 12, at the George Billis Gallery located at 525 West 26th Street between 10th and 11th Avenues from 6 to 8 p.m. Gallery hours are Tuesday through Saturday, 10 a.m. to 6 p.m. This latest series of paintings was created this past winter in a temporary studio at Hawk’s Nest Beach in Old Lyme. Ever drawn to the character of the homes and the pictorial possibilities presented by these structures and their interplay with light, Christiano has returned numerous times to Old Lyme’s seasonal beach communities perched on the edge of the Long Island Sound. Most of the paintings are an intimate 4 ¼ x 6 inches, the size of a standard postcard. While the paintings are small, each is a carefully painted arrangement of design elements that also convey a sense of the inner life of the place. 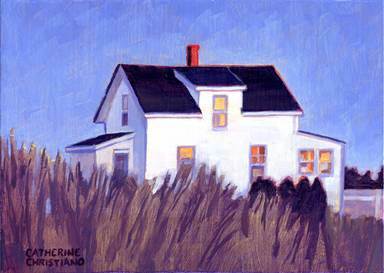 A painter known for creating detailed representational works, Christiano has been a studio artist based in Old Lyme for over 20 years. She was classically trained at the Lyme Academy of Fine Arts during the time that it was an intensive program focused on working from nature and the human figure. Catherine Christiano, Summer Rentals, Hawk’s Nest , 2018, Oil on Panel, 4 1/4 x 6 inches. Photo credit: Catherine Christiano. Past local projects include the illustrations for the Old Lyme Historical Society’s memoir Poverty Island and the seal for the Town of Old Lyme. 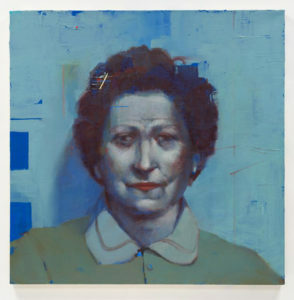 The George Billis Gallery marks its 23rd year in the Chelsea Art District and opened a second gallery in the burgeoning gallery district of Culver City in Los Angeles. For additional images and information about Christiano’s works in this exhibition, contact the Gallery via email at gallery@georgebillis.com or phone at 2120645-2621.